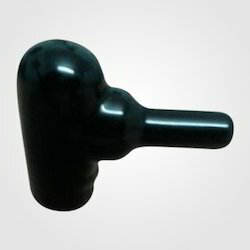 We are the leading manufacturers, exporters and suppliers of PVC Grommets. We manufacture high quality PVC Grommets. these products are available in various colors. We have established ourselves as a renowned manufacturer, supplier and exporter of excellent quality Dip Moulding Grommet. The range made available by us is manufactured using superior quality material following standards and norms of the industry. Our logistics personnel make sure that the consignments are timely delivered at clients' destination using easy shipment modes. Looking for PVC Grommets ?